With a background in advertising and marketing, Debra brings over 30 years’ experience to her role as events and communications director. After an award-winning, career with Grass Roots, P&MM, Zibrant, MCM and Aspect, in senior leadership roles, she now runs her own creative communications consultancy working directly with global accounts and partnering with complementary agency businesses. She focuses on leading large project teams and translating business strategy and key messages into relevant engaging and inspiring communications content for events, video and internal communications. In the past 5 years she has developed and delivered projects for brands such as BP, Danone, Regus, Samsung, EBTM and Virgin Active. As a bit of a trailblazer, Debra is proud to have championed women in business since the beginning of her career and has worked tireless to support and mentor many young women in the communications industry who are now enjoying very successful careers. 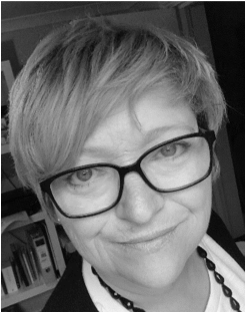 She admires Fay Sharpe and the stellar work she has done within the events industry and is excited and honoured to be included as a Fast Forward 15 mentor for 2019.